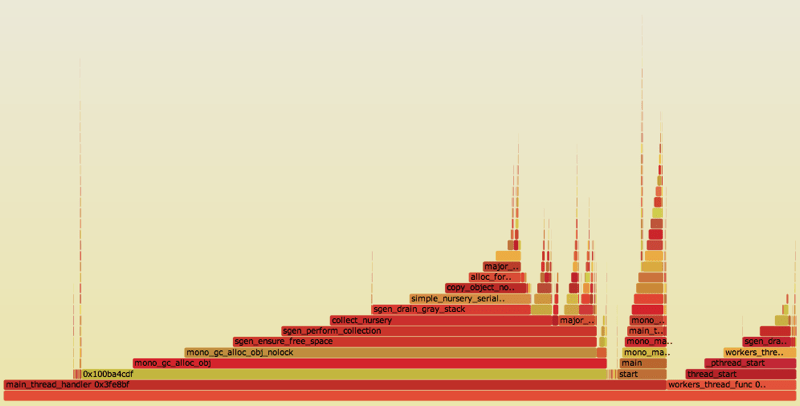 Flame graphs are a great way to visualize stack-trace based profiling data. Brendan Gregg’s scripts for generating these graphs accept, among other options, output produced by DTrace. Unfortunately, OS X’s DTrace, when accessed through the command line, contains a bug that prevents it from producing stack traces in most cases. 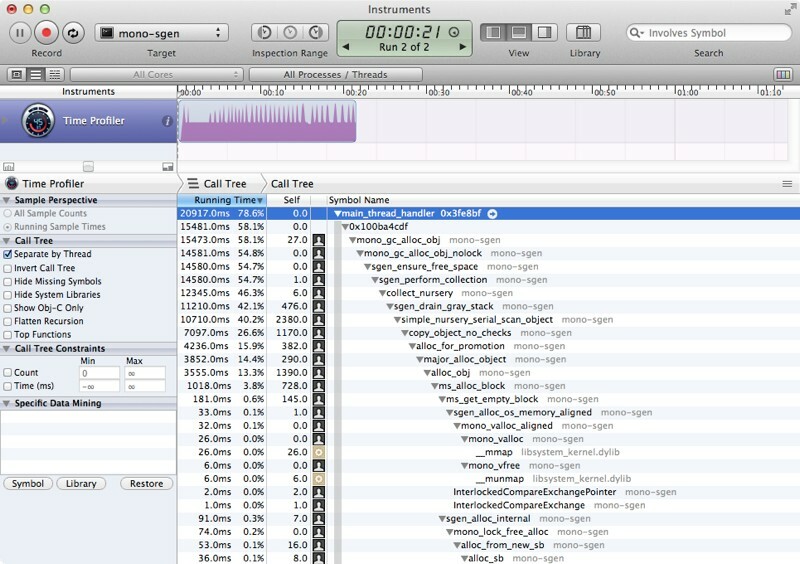 XCode Instruments, on the other hand, is not compromised in this way, but it will not give output similar to dtrace. What it does provide is an export functionality which generates CSV files containing the exact contents of the details pane, so I wrote a script to do the intermediary work. For an alternative view you can invert the call tree in Instruments and you’ll get a correspondingly inverted flame graph, i.e., the flames go up from callee to caller, as opposed to the other way around when the call tree is not inverted.